Treatment with antidepressants increases the risk of suicidal thoughts and behavior in patients up to age 24, according to proposed changes to the drugs' labels unveiled Wednesday by health officials. The proposal would expand a warning now on the labels that applies only to children and adolescents treated with the drugs. The Food and Drug Administration put forth its plan to update the drug labels at a meeting of outside advisers convened to discuss the issue. The changes also would include a recommendation that patients of all ages be carefully monitored, especially when beginning antidepressant treatment. In emotional public testimony illustrated at times by slides of family photos, relatives of suicide victims pleaded for more warnings on the drugs. Ellen Hanson said her husband, Scott, hanged himself in 2004, weeks after he started taking Paxil. No one ever told the couple about a suicide risk before the 43-year-old union carpenter began taking the antidepressant, Hanson told the panel. "I know he didn't want to be dead. Even two years later, I feel his death was an accident — a medical accident," she said. 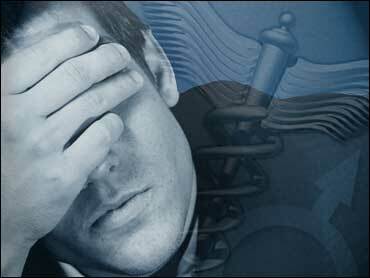 But FDA advisers also heard from big believers in antidepressants, reports CBS News correspondent Sharyl Attkisson. "Antidepressants gave me back my life and probably very well saved my life," said Sherri Walton of the Mental Health Association of Arizona. "Because who knows as I was spiraling downward what could've happened." Mental health experts also are worried that additional warnings about the risk of suicides linked to antidepressants could curtail their use and ultimately do more harm than good. The proposed changes come on the heels of an FDA review that found use of the drugs may increase the risk of suicidal thoughts and behavior among young adults ages 18 to 24, as in younger patients. But expanding the "black box" or other warnings on the drugs could scare away doctors, parents and patients, mental health experts caution. They warn that people with untreated depression — about half of those who suffer from the disease — face an estimated 15 percent greater likelihood of death by suicide. "My concern is that by not simply promoting good standards of care and by putting on a black-box label, the FDA may unwittingly limit further access to care," said Dr. Carolyn Robinowitz, president-elect of the American Psychiatric Association. Dr. John Mann, a Columbia University psychiatrist, suggested simply replacing the proposed expanded warnings with the recommendation that doctors more closely monitor their patients. Overall use of antidepressants continues to grow, with nearly 190 million prescriptions dispensed in the United States last year, according to IMS Health, a health care information company. That suggests doctors have placed more weight on the long-term benefits of the drugs than on any short-term risks, Dr. Thomas Laughren, director of the FDA's division of psychiatry products, told panelists. Dr. Joseph Glenmullen, a Harvard Medical School clinical instructor in psychiatry and author of "Prozac Backlash," said expanding the warnings wouldn't scare off patients, but instead would allow them to make informed choices. The FDA recently completed a mass review of 372 studies involving about 100,000 patients and 11 antidepressants, including Lexapro, Zoloft, Prozac and Paxil. When the results are analyzed by age, it becomes clear there is an elevated but short-term risk for suicidal thoughts and behavior among adults 18 to 24 that approaches that seen in children, the FDA said in documents released before Wednesday's meeting of its psychopharmacologic drugs advisory committee. The FDA's analysis of the multiple studies suggests an age-related shift in the risk of suicidal thoughts and behavior associated with treatment with the drugs. For instance, antidepressants seem to protect against suicidal thoughts and behavior in adults 30 and older, with the effect most pronounced in patients over 65. The FDA said the increased risk could mean as many as 14 additional cases of suicidal thoughts or behavior in every 1,000 children treated with antidepressants. For adults 18 to 24, there could be four additional such cases per 1,000. Multiple psychiatrists testified that the 2004 addition of a warning for children led to a falloff in antidepressant prescriptions being written for patients under 18 — and an increase in suicides in that age group. In May, GlaxoSmithKline and the FDA warned Paxil may raise the risk of suicidal behavior in young adults and added that to the drug's label.